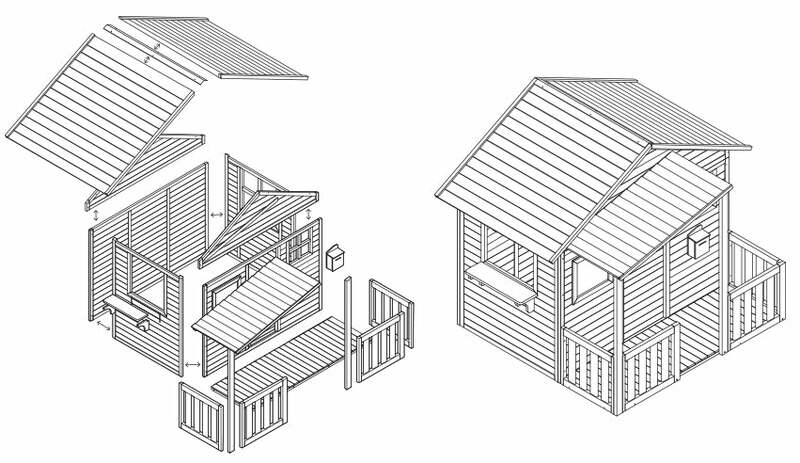 An awesome spacious kids cubby house with all the bells and whistles for fun & play. 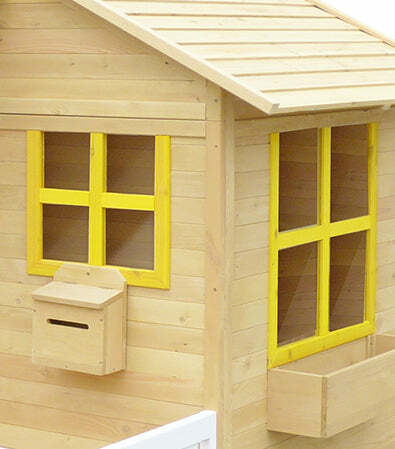 Comes with a chalkboard, letterbox, flowerbed and clear plastic windows. 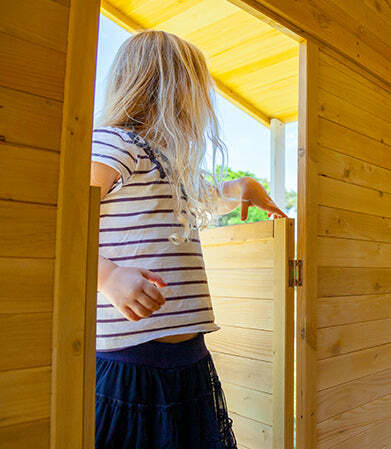 Our 1.8m tall Camira Cubby House provides heaps of room for play. Kids tables and chairs are a must in an Cubby House Australia. 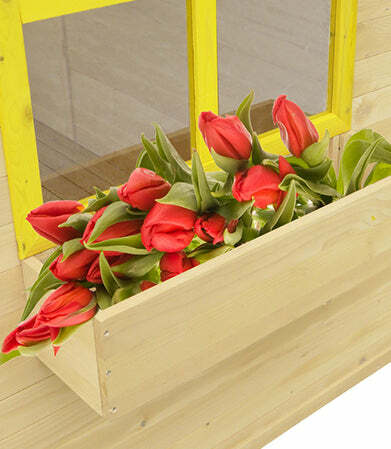 Decorate your cubby house with an in-built window flower bed! Our safe plastic windows come with pre-painted frames, and are big to let in lots of light. 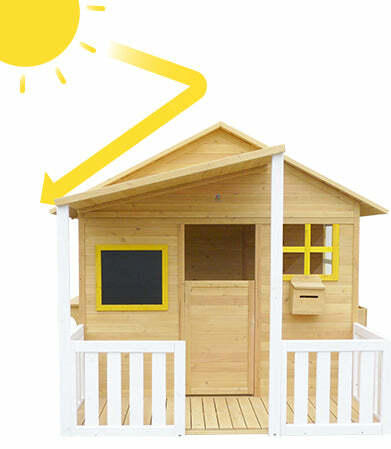 With a chalkboard and letterbox, your kids will be able to personalise their own play-house. Our Camira comes with a light, wooden door which makes it easy for your kids to open and close. Comes with a magnetic door catcher to keep the door closed and secure. 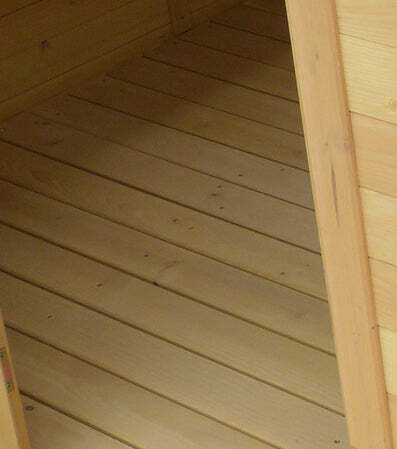 Our Camira Cubby House complete set comes with flooring for a cosy and warmer experience. The timber used for our Camira is treated via high temperature drying, degreasingand is stained against wood rot and insect damage. It comes UV protected to withstand the harsh Aussie sun. 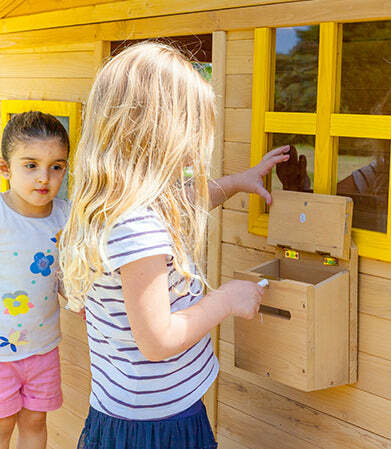 We know how important safety is for your kids, our Camira Cubby House passes International EN71 Safety Standards.